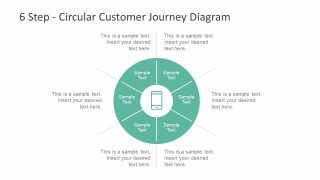 The Circular Customer Journey Diagram for PowerPoint contains three slides of six, four and two steps layouts. 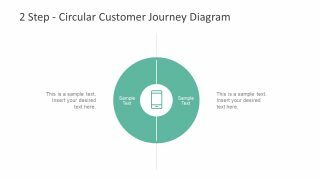 These templates demonstrate the customer experience in a circular diagram flow. Because every business model has its own different outcomes of their user experiences. These diagrams can enable the users to encompass a range of interactions. Like the number of marketing channels and interaction points of the users paying for product or service. Although the template shows a simple and neat 6 segment circular diagram in the first slide. It could also display a range of 6 step cycle processes in the business environment. For example, the business management lifecycle, communication process, change management and implementation etc. 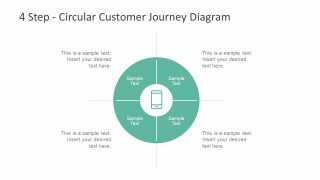 The Circular Customer Journey Diagram for PowerPoint is a turquoise theme template. And, the icon of a smartphone as the core to visually represent a marketing segment. But users can replace this core clipart icon with another more relatable graphic for the presentation. For instance, using the lightbulb icon for the latest ideas or the silhouette of a human head with gears portraying critical thinking. 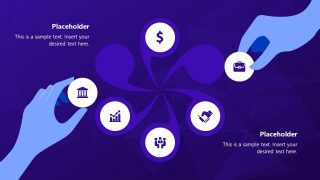 Because the slides are fully editable, the users can customize the color theme and rescale the circular shape of a diagram. Further, they can add a background color, gradient, pattern, or photo to the presentation. 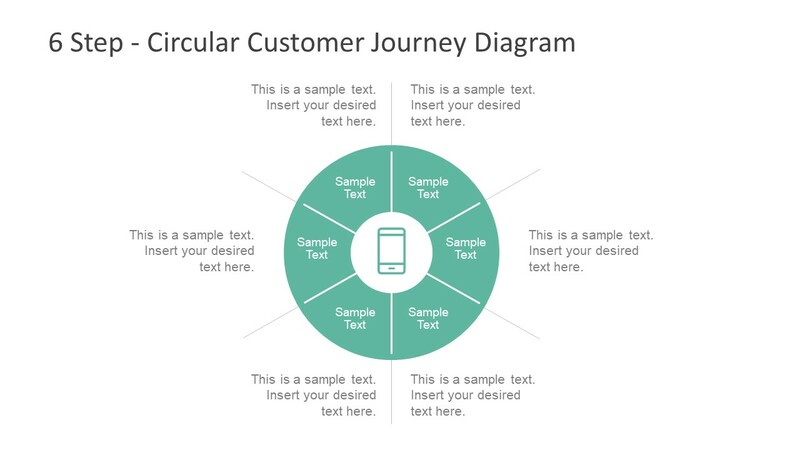 The template slide of 4 steps circular customer journey diagram, on the other hand, can display the matrix models. Such as the SWOT and market analysis. 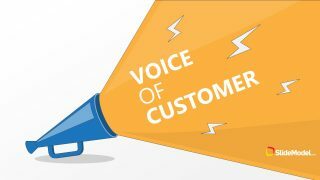 The customer journey is the marketing and branding concept, a key to run the successful customer-oriented business. The recurring circular process enables the company to improve the quality and production of its product/service. Therefore, the professionals can make an effective PowerPoint, providing a high-level picture of customer experience. 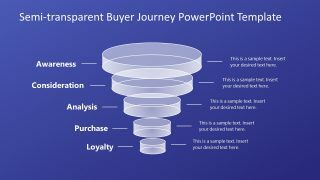 Furthermore, the 2 steps circular customer journey diagram for PowerPoint can also display the comparison of two factors. 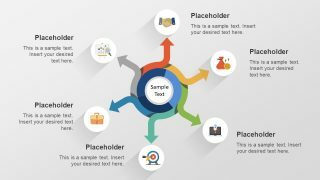 The circular diagram template contains several text placeholders to enter keynotes for the topic. The users can select the desired template and copy it as part of their existing presentation.